The 1238A recalls one of the most trusted large-format monitors, but with the added appeal of Smart Active Monitoring (SAM™). 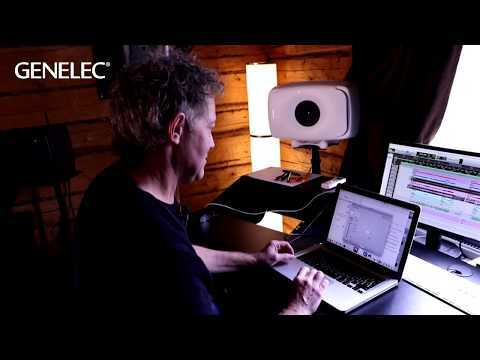 The great legacy of the Genelec 1038 is brought straight to the cutting edge of monitoring technology with the 1238A. The large format, three-way system combines Genelec’s acoustic expertise with the extraordinary adaptability of Smart Active Monitoring (SAM™). Building on the success of a legend, the 1238A draws on more than 35 years of experience to produce a three-way system that’s second to none. Flush-mounting the 1238A is now easier than ever before thanks to its RAM-L integrated amplifier module, which can be rack-mounted away from the enclosure. A 15 inch woofer, 5 inch midrange driver (both with Class D amplification) and 1 inch metal dome tweeter (Class AB amplification for ultra-wide bandwidth) combine to produce a peak SPL of 121dB, with a large Directivity Control Waveguide (DCW™) ensuring excellent on- and off-axis imaging. Engineering excellence then meets the power of SAM. Genelec Loudspeaker Manager (GLM™) software allows for the fine adjustment of up to 30 individual Smart monitors and Smart subwoofers, while AutoCal™ compensates for detrimental room influences to perfectly calibrate your set-up for your listening environment. A new reference point for large format, three way monitors, the 1238A represents the optimum balance between experience and innovation.